Hello all my question is this. I purchased a home with an old boiler steam heat and radiators that are cast iron I think..
You have an imbalance/venting issue. Closing off radiators will only make your boiler act oversized and not necessarily do anything for the balance issue. The vents being new doesn't really have anything to do with it, they need to be the right SIZE vents. New old doesn't really matter for balance. And another question how do you propose to heat the house with only those 2 radiators turned on? What size main vents do you have? What type and size of vents do you have on the radiators? You will get heat to those 2 if you do that, but you won't get any heat to anywhere else. The main problem here is a balance issue. You need good main venting to get all the air out of the mains as fast as you can. After that you need to balance the radiator venting. Since you have the ventrite vents you can adjust those. In general you want to vent faster on bigger rads that are further from the boiler and closer smaller rads you vent slower. You could start by turning the vent up on ALL the second floor rads and turning down all the ones on the first floor, BUT you must make sure your main venting is in order first. Closing a rad won't create a pressure problem per se other than making the boiler short cycle on pressure. Also since most radiator valves are old and don't work so well what generally will happen is the rad will slowly fill with water. The steam can usually still seep in, but the water won't easily flow out. The only PROPER way to address your problem is sorting out the venting. You need to post details of your system, every system is different. Pictures would help. 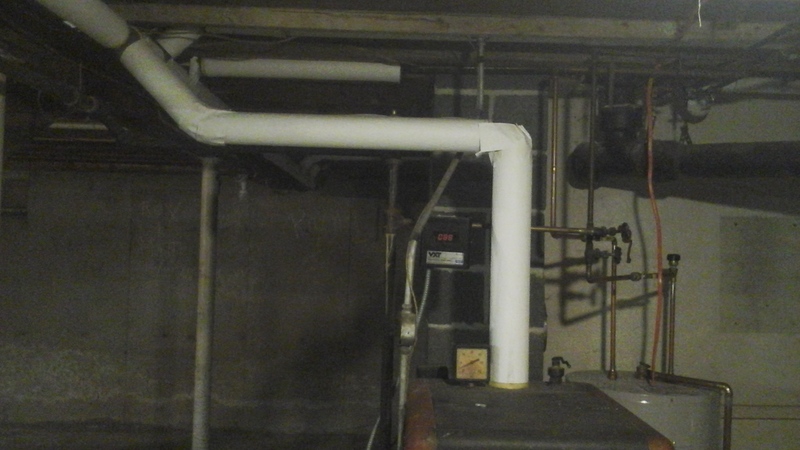 Post some pictures of the boiler and piping and the main vents in the basement. The length and size of the main pipes determines the size and quantity of vents that you need. So you would need to measure the length of the mains and what size they are and we could probably advise how to proceed. Do you have any other issues with the system? Is it quiet? Do any vents spit water? Take some pictures of the boiler and the piping and we can point you in the right direction. There are problems with the way that boiler is piped, it does not have a header but will probably work because it's old and has a large steam chest. When that boiler is replaced it will need a proper header because new boilers have much smaller syeam chests. It looks like the boiler is connected with a bullhead T into the steam mains it's important those mains are sloped right so water can find it's way back to the boiler. The large pipes covered with insulation are the steam mains. the smaller pipes that run along them are the returns while the pipes that come off the mains at a 45 degree angle are the radiator runoffs. What make and model are those main vents and how long is each steam main? The vents are new but they may be too small to get the air out quickly. You want to get the air out of those mains as fast as possible. Get the mains venting fixed before adjusting the radiator venting. You measure from where the boiler connects to the system (see picture). You measure from each side of that tee and measure all the pipe until you get to the last radiator connection, then measure the other side of the tee until you get to the last radiator connection. You will have 2 measurements and those are the lengths of your mains, then you need to know the pipe diameter of those mains and the venting can then be sized accordingly. I would recommend you educate yourself on your system. Does that boiler have a float type low water cut off? If so that needs blown down regularly, do you know about that? You also have a VXT auto feeder that can track water usage which is important as excess water usage rots out a boiler. If you don't understand your system very well it might be a good idea to purchase the books on this site and learn about it. We Got Steam Heat and The Lost Art of Steam Heating are 2 good ones. 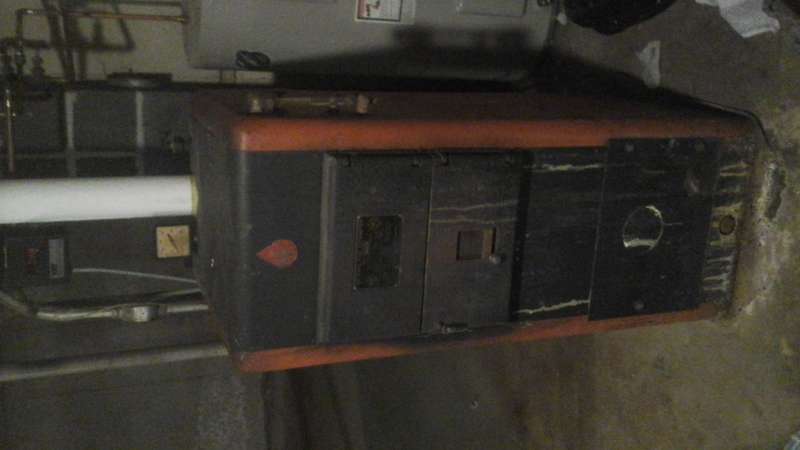 A boiler needs care and attention. If they are suggesting removing the steam I would probably find a new contractor. They are suggesting that most likely because they don't know steam and have. Where are you located we may know a good steam man in your area to recommend to come out and give you an evaluation. I am not saying it isn't going to fail, but just because the boiler is old does not mean it's going to die soon. Some of those old boiler are built like tanks and last for a LONG time. Also we do not discuss pricing on this site. Keep the steam and make sure whoever installs it does so by the Book (the installation and owners manual that comes with the boiler). The way this boiler is currently piped, you are going to have a difficult time trying to balance the system and get steam to every radiator in a reasonable amount of time. Most likely the largest/nearest radiators will heat first and by the time those are filled with steam, the thermostat is satisfied and the boiler shuts down before the other radiators can get hot. I'm betting the radiator in the room that has the thermostat is one that gets hot, right? If your new radiator vents are adjustable, set it at the slowest setting for the radiator in the room with the thermostat. That will slow the amount of heating in that room, maybe enough for some of the other radiators, that are cold, to start to heat up. This may be an interim solution until you can get the Near boiler piping corrected and get enough main venting on the mains. Obviously the best fix is 1) get the near boiler piping installed with a proper header and two risers out of the boiler, 2) seperate the mains that go in two different directions and carry each of those down to the new header, 3) put enough Main venting on each of those two mains to get the air out of them as quickly as possible (a rule of thumb is the equalivent of one Gorton #2 vent for every 20 feet of 2" Main. Each main is vented seperately), and 4) then balance the venting on each radiator so that steam gets to each of them at about the same time (or close enough that you are satisfied with the output in each room). You really don't want to close any of the radiators off completely (at least not more than maybe one radiator) because that will cause you boiler to be over-sized (it probably already is so you will only compound that problem) and cause it to short cycle. With the piping the way it is right now, that will just add to your problems. Short cycling occurs when the boiler shuts off on pressure before the thermostat is satisfied. A little short cycling is ok, but if it's excessive it's a problem. It can be caused by a boiler that is to big for the radiation attached to it or by main vents that are too small for the job. By closing off half the radiators you have forced the boiler to short cycle. You should get new main vents installed first, the ones you have are much too small. Then I would try putting Very small vents on the radiators you don't want to heat up fully, you may end up putting TRV's on those and setting them for lower temps. Then you will have to balance the rest of the system by playing with the vents on the remaining radiators, what kind of vents do you have now? If they are adjustable you can try starting low and increas the vent rates on the rads that seem slow to heat. Perhaps a pic of a typical rad would help. Also with one pipe, turn the vent upside-down as opposed to off. You need to fix the main venting in the basement first, however as hort-cycling wastes a lot of fuel and can stop rads from getting heat. 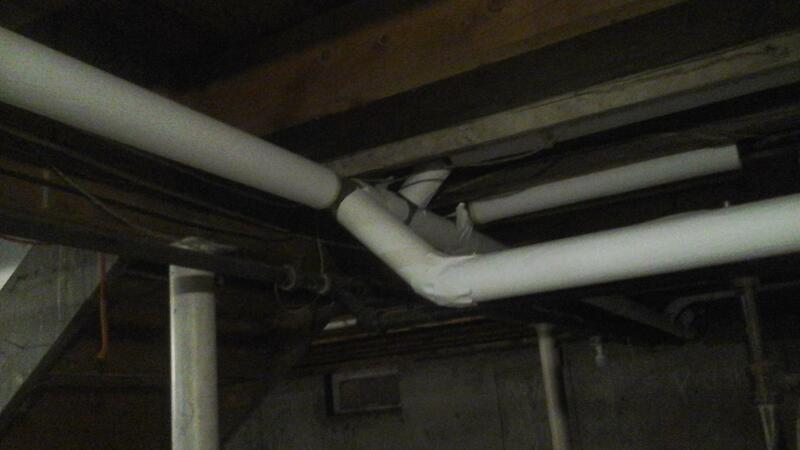 Btw, a blow-down is something YOU as a homeowner need to do regularly, not something the yearly maintenance co. does. It would never show up on any paperwork as it's assumed it's being maintained. This is to clean gunk out of the LWCO so it shuts down the boiler in case of a LW situation so it doesn't boil dry. It's a safety issue. Are you saying you've never done this? Also with one pipe, turn the valve upside-down as opposed to off. The vent, not the valve (in case that wasn't obvious). Here's a question; I'm guessing by turning the vent upside down the boiler "sees" the same load? I thought steam was denser than air? Or is the load simply based on pressure? Yes that's what I meant to type. I really need to edit. The density of steam -- and air -- depends on the temperature. Actually, dry steam is less dense. However it doesn't really matter. By turning the vent upside down -- which keeps it from venting -- the boiler will see a smaller load, as the radiator(s) with those vents won't be able to vent the air, and hence won't be able to accept much steam. Keep your pressure low!!! 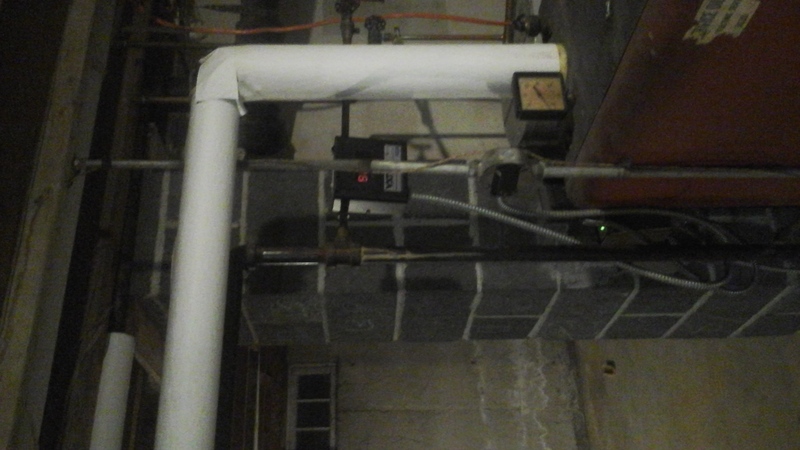 The cutout device on the boiler should turn it off when and if the pressure reaches 1.5 psi, no more than that. From what I understand, since it won't vent when mounted upside down, in theory no water should be released. 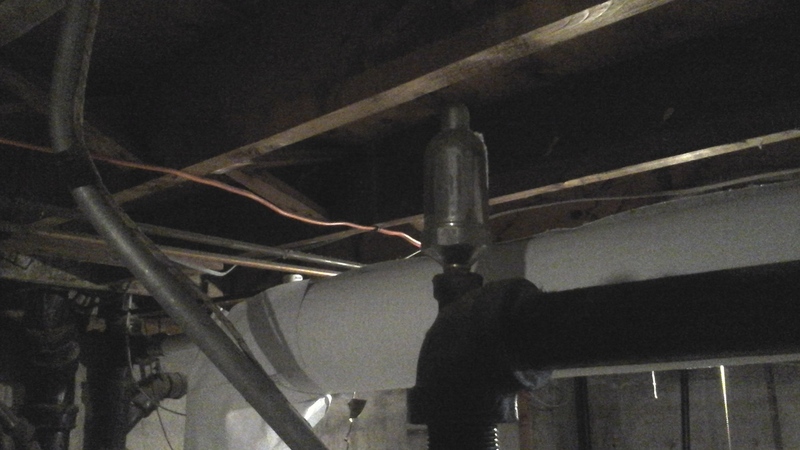 Jamie, so what is the difference between closing the shutoff valve and mounting the vent upside down (operational state of the shutoff valve aside)? If your shutoff doesn't completely close against steam, it may trap condensate in the radiator causing some hammering. 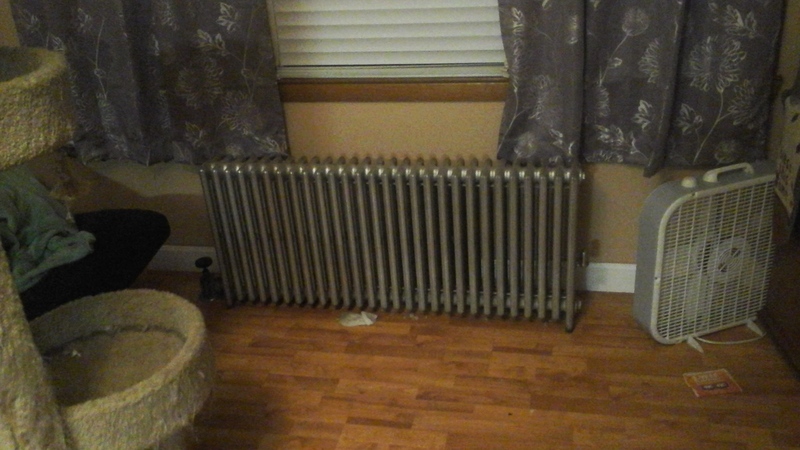 Also, the radiator will heat if the shutoff leaks. Vent upside prevents air from leaving the radiator and therefore prevents steam from entering. (operational state of the shutoff valve aside)? 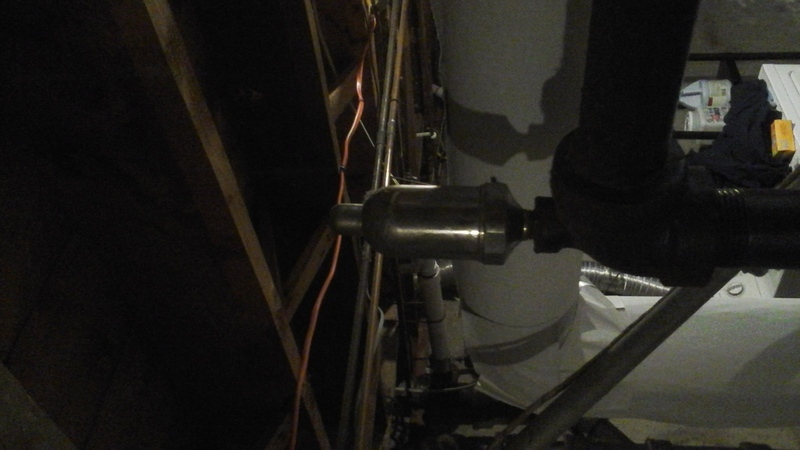 I guess my question is, assuming you had a brand new shutoff valve, is there a difference between closing the valve and mounting the vent upside down from the perspective of the boiler?